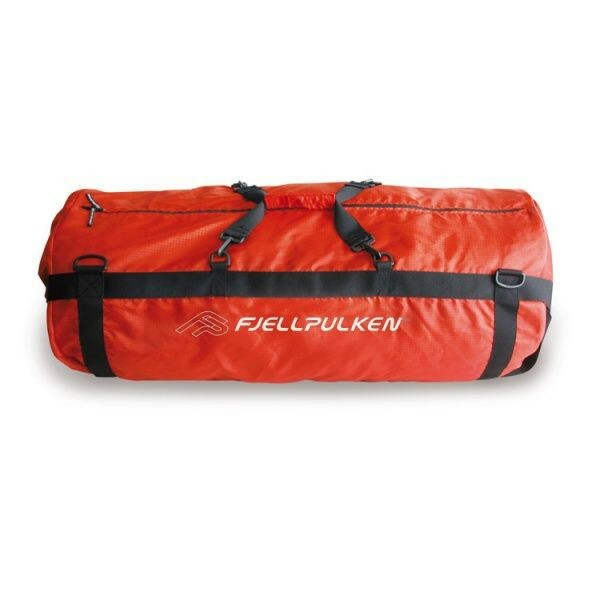 Fjellpulken PackBag 115 liters is specially designed bags for the transport of large volumes. 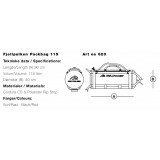 It is ideal for use in Transporter 155 the transport board, and our touring and expedition pulks, Xcountry and Xplorer. The bags can of course also be used for other tasks that require large volumes. 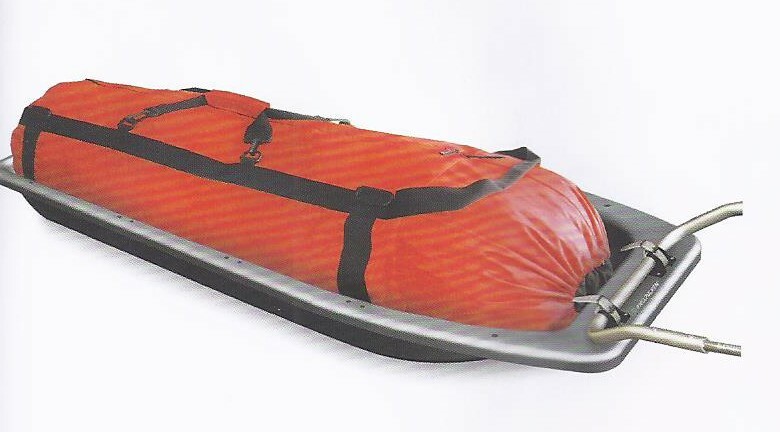 The bags have a unique system for folding and compacting, it takes almost no space when not is use. 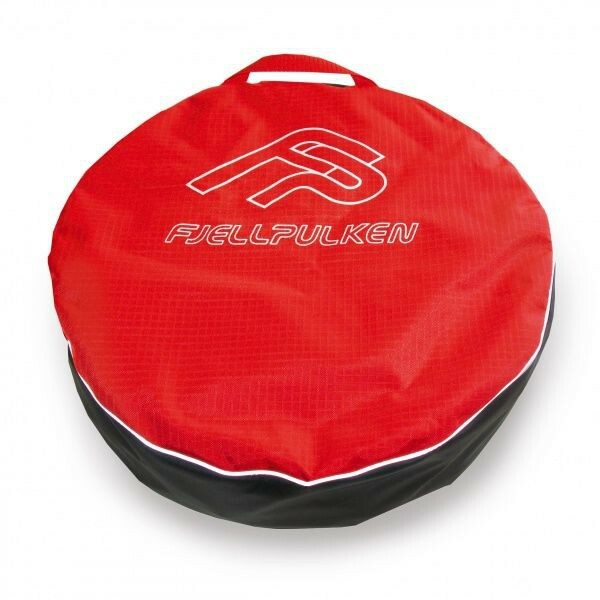 Fold the bag, turn the front pocket inside out, and the bag is a little compressed cushion. The bags then require very little space in the booth or in the cabinet. The bags have lifting straps in the front, rear, top, and removable shoulder straps.